France outside Paris: Chapel of Joan of Arc, Rheims Cathedral. Chapel of Joan of Arc, Rheims Cathedral. 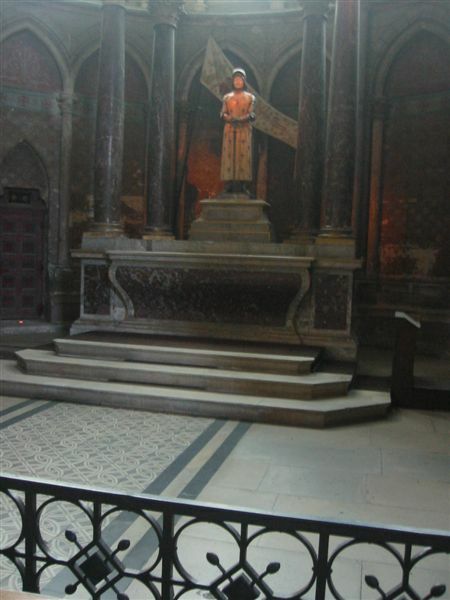 Chapel of Joan of Arc, Rheims Cathedral. Joan of Arc brought Charles VII to Rheims Cathedral to be crowned in 1429 after her victory at Orléans. She was seventeen years old. This chapel probably dates from the time she was made a saint by the Catholic Church, 1920. Quite a while later-- because she had been burned as a witch by the English at nineteen, and because it was the French Burgundians who captured her and the king of France who did not rescue her.